Jake Paul causes problems at theme park. On June 6th, Jake Paul caused problems at a theme park in Charlotte, North Carolina. Some background about Jake Paul, (incase you are not familiar with him) he is a famous youtube vlogger who gained his fame through a social media platform called: Vine. Vine was popular throughout 2014 through 2016. The app closed down on January 17th, 2017. At the theme park, Jake Paul was reportedly using a motorized scooter, one that is usually for handicap accessibility. He refused to walk around the 400 acre property, which was his reason for using it. He ended up using it inappropriately. People reported that he was attempting to do tricks, and also was seen trying to stack multiple people on the scooter. Jake was kicked out by the park, where he told journalist that he left the park because there were too many fans there. He’s being sued for 2.5 million dollars by the park for property damage. Jake Paul denied any wrongdoing saying that “the cart was given to him.” But that doesn’t justify his inappropriate use of the cart. It honestly doesn’t surprise me that Jake Paul thinks he hasn’t done anything wrong. Behavior like this is not uncommon of him. He’s known for causing drama. Being obnoxious in public, and just all around attention seeker. There are plenty of examples, but trying to cover even the slightest amount would fill up a dictionary. 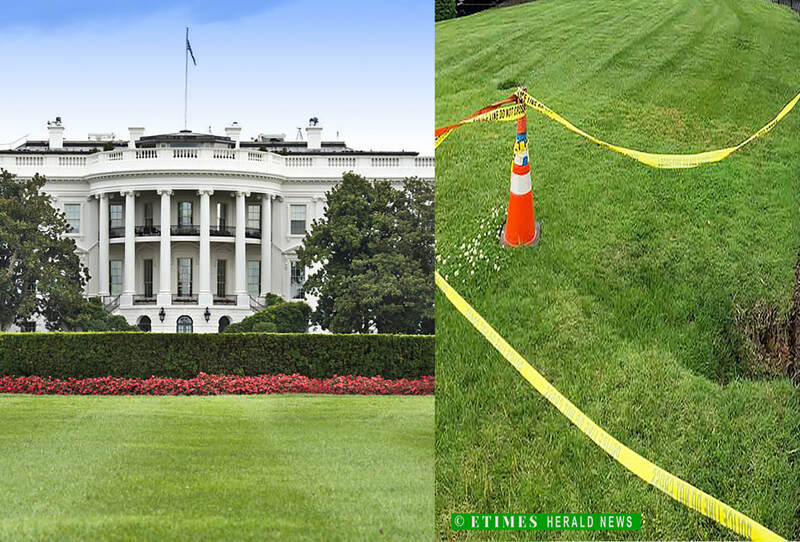 Recently, a sinkhole was discovered in the lawn of the white house. The sink hole right next to the gate by the briefing room, on the north side of the white house’s premises. The hole is blocked off with traffic cones and cautions. Predictions for why the sinkhole formed there is because of “a legitimate swamp” that is located that surrounds the white house. Another prediction that could of caused the hole is that there has been a substantial amount of rainfall recently. Sinkholes are usually formed because of water getting under the ground by seeping through cracks or holes. The water then pools up and erodes away the dirt walls. After a while the underground pool will give out and finally cave in causing one. ​There’s not much more info about the sinkhole because it's only starting to develop. But hopefully the sinkhole doesn’t get any bigger than it already is.